Thus read my invitation to presentation of findings on the 6 year study on the proposed Red-Dead canal. As I have a special love for the Dead Sea and a fascination with all different kinds of topics associated with it, I wanted to hear what the World Bank has to say about this potential solution for the dropping water level. Here are some of the interesting things I learned at this summary meeting. The World Bank is interested in this project for three reasons. 3. To provide a symbol of peace in the region. The Study is not funded by the World Bank, however. The World Bank provides management and coordination but the funding came from 8 different countries. It looked at whether the Red-Dead is feasible, as well as its effects on the environment, alternatives, and modelling of both the Red Sea environment and the Dead Sea environment. Where does the idea come from? The Dead Sea is in trouble. The inflow to the Dead Sea, once 1.3 billion m3/year has now dwindled to about 100,000 m3/year. This has led to the dramatic drop in the level of the Dead Sea and threats to the environment around it. The idea of the Red-Dead is to transfer water from the Red Sea in the area of Eilat and Akaba to the Dead Sea. The drop in elevation from sea level to 427 m below sea level would power hydroelectric plants. Somewhere along the way, some of the transferred water would undergo desalination and be piped to population centers (mostly in Jordan and the Palestinian Authority), where the need for water is great. What the study found, however, is that this plan is costly ($10.6 billion) with 20% of the cost going towards transfer of desalinated water to consumers. It does not generate any electricity to the grid as all electricity would be expended powering the desalination plants. Although the technical extraction of water from the Red Sea was evaluated and a possible plan with the smallest environmental footprint was suggested, the effects of transferring a large quantity of sea water to the Dead Sea are unknown. There are other plans. The Med-Dead (Mediterranean-Dead Sea pipeline), and restoring the Lower Jordan by a combination of purchasing water from another country (Turkey), desalination, and conservation are the two main contenders. We could also do nothing. If we do nothing, the level of the Dead Sea will continue to drop. At some point, the chemical plants will probably stop pumping, as the cost of pumping will rise as the water level in the northern basin drops (the chemical plants are in the southern basin). The level of the Dead Sea will stabilize at 550 m below sea level – a full 120 m below the level of today. We have no idea what kind of damage will be caused by such a dramatic decrease or if the Dead Sea and the environment around it will ever be able to recover. It could be that endemic species become extinct; that sinkholes threaten population/vacation centers; that industries which provide significant income to both Israel and Jordan are forced to close. 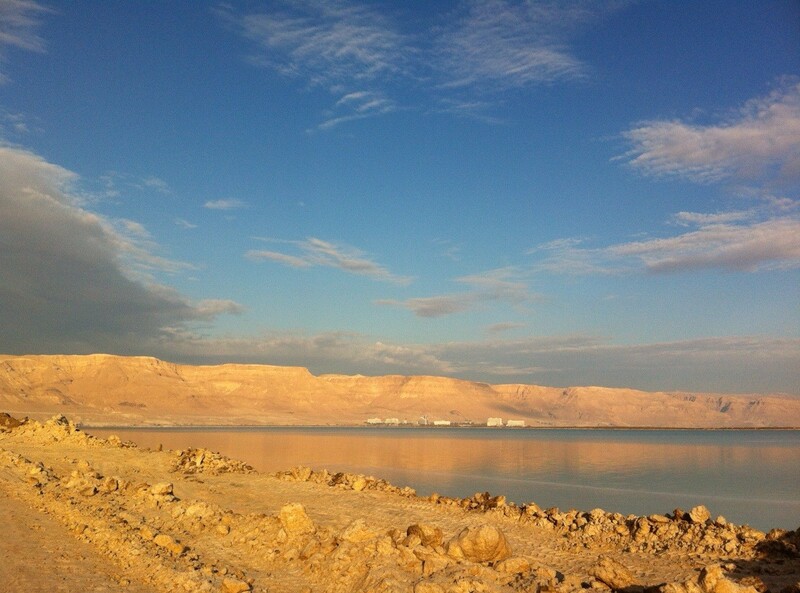 Restoring the Dead Sea is inexonerably linked to tackling water issues in the area in general. The Dead Sea level continues to drop because we are pulling too much water out of the system. This is the real challenge, not only to our immediate area but to the entire region. In Syria where there is a problem with allocating water to agriculture, much of the rural population left their farms and went to the cities. The resultant strain on city resources is one of the causes of the revolt and bloodshed happening right now in Syria. Solving the crisis in the Dead Sea concerns each and every one of us. What are you doing for the Dead Sea today? Next Next post: It’s Magic!